Baltimore’s slice of progressive soul. After investing in a handful of borrowed dreams, singer-songwriter Trina Coleman finally began the work of crafting her own songs in the summer of 2008. A stack of unheard songs soon quietly piled on the piano. Not much changed before August 2011 when an unexpected major surgery, an earthquake, and a hurricane hit within three short weeks. Trina and her husband Zac were propelled into a season of trauma that would completely erase their familiar fears, and they found themselves composing songs within a story that could no longer remain unshared. Trina’s classical training and biracial background weave into a fresh, powerful sound. Her expansive vocal range has been described as Regina Spektor meets India Arie. 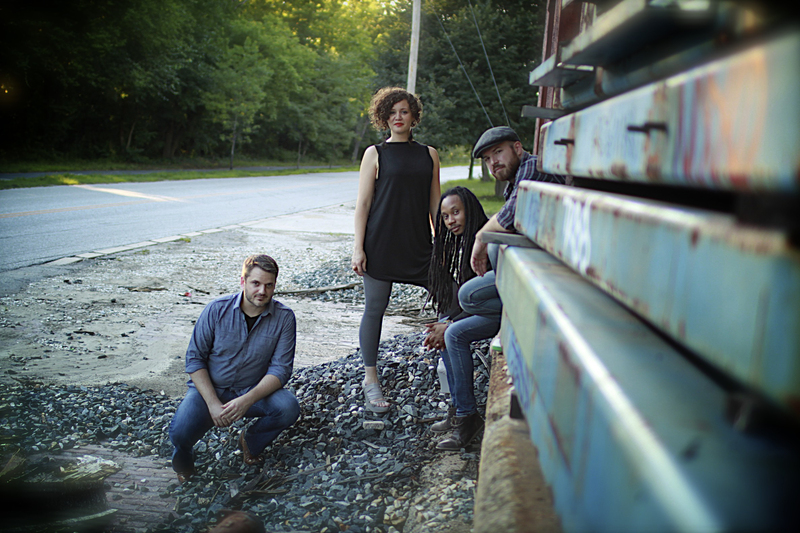 Her husband, guitarist Zachary Coleman, layers rock/blues to mix with the airtight beats of seriously funky jazz drummer Stephen McGrath and dancing dreadlocked bassist Tim Long. Trina rounds out the flavor with keys, flute, and just a tad of the friendly ukulele. Formed in 2012, Sojourne’s blend infuses melodically with a whole lot of thumping feel-good soul. The band’s progressive sound pulses with a powerful narrative that readily pours gladness into the bones. Sojourne opened for Snarky Puppy’s Grammy winner Cory Henry at The 8×10, performed at the Artscape Festival, Allentown Jazzfest, The Shrine Bar NYC, Philadelphia’s Comcast Center, Creative Alliance, Metro Gallery, live on NPR’s WYPR 88.1 FM, live on WEAA 88.9 FM, and was featured on the Maryland Public Television Artworks program.